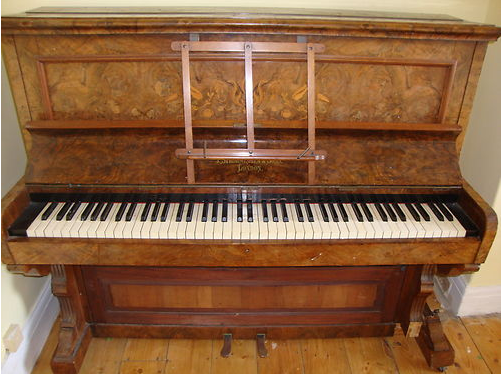 There is something wrong when you can buy a walnut 1850's, beautifully tuned, lovely sounding piano for £25. Yes there is a small wood repair needed, but surely £25???? I bought it yesiree. You would struggle to buy a cushion from the high street for that. I'm not sure which makes me a little glummer.